A former National Secretary, National Council of Managing Directors of Licensed Customs Agents (NCMDLCA) Nigeria, and Vice Chairman, Board of Trustees, Association of Registered Freight Forwarder (ARFF) Nigeria, Chief Lexzy Nwangwu, has been elected President of the African Federation of Freight Forwarders (AFFF), an offshoot of African Union’s African Maritime Transport Charter established to facilitate the 2050 Africa’s Integrated Maritime Strategy (2050 AIM -Strategy). Sworn in by the President Nkosazana Dlamini Zuma, the Chairperson, African Union Commission on Saturday at the just concluded launch of 2015-2025 as the Decade of African Seas and Oceans held at the African Union headquarters, Addis Ababa, Ethiopia, Nwangwu was charged with the responsibility of piloting the affairs of freight forwarders in Africa within the next four years. Together with a team of two Vice Presidents and ten Directors from different nations in Africa, Nwangwu is expected to liaise with African nations and their freight forwarding groups /associations in ensuring the realization of the 2050 Africa’s Integrated Maritime Strategy (2050 AIM -Strategy). The establishment of the associations is part of comprehensive maritime strategy adopted by African Heads of States and Governments at the 22nd Summit of the African Union (AU) “to address Africa’s maritime challenges for sustainable development and competitiveness”. 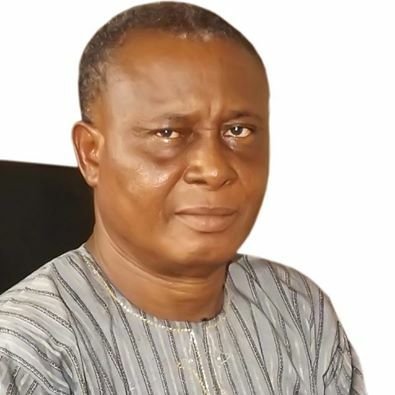 Chief Lexzy Nwangwu who trained in India has been a freight forwarder for over 30 years and is the Managing Director, Lexzy Peters Nigeria Limited.